Whatever your specialised labelling requirements, we can help! Some of our more common speciality labelling requests include custom stickers and label rolls. Need individually numbered labels? Serial numbered labels can be printed with each having its own unique number. This addition can be included within the press run, as such this will mean only a very minor cost difference. Numbering can be either consecutive or repetitive, or we can provide digital numbering to suit your specific needs. 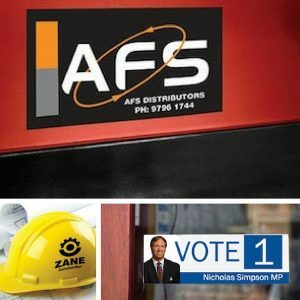 Where servicing or testing for machinery and other devices is required, and dates or servicing information needs to be applied, these stickers are ideal. Our ready made tags are quick and easy to use. Simply add the information, remove the flap of backing paper and stick down the self-adhesive film, which protects the information on the label from liquids and wear and tear. Then the job is done! Enquire today and ask how we can accommodate your speciality labelling needs. If you would like to discuss how we can help print wine labels for your business, please contact us today on 1800 066 344, email us on sales@abacusprint.com.au or complete the our request a quote form.